Welcome to the newest and one of the finest in our line up of 110cc dirt bikes. This 110cc Youth Dirt Bike is ideal for a wide range of riders. 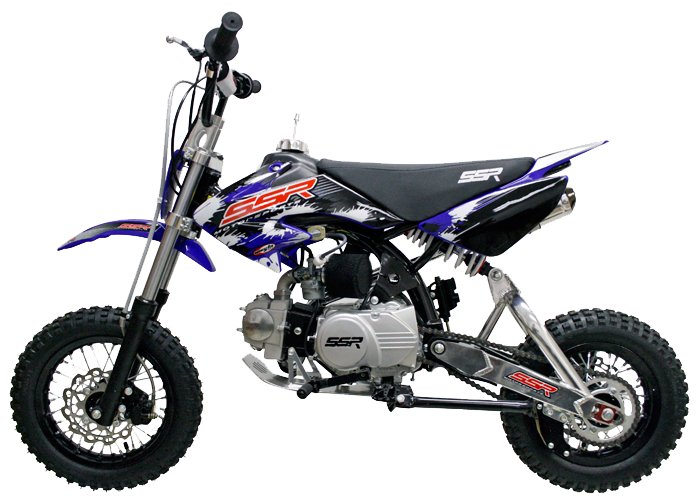 For kids its a fun and powerful dirt bike. Adults can use it as a sceaming pit bike with some serious awe factor. With 110cc's of power underneath the seat, your child can leave all cares behind and destroy some dirt track!! Your child can speed up to 40+ MPH with the mamual 4-speed pit bike. As fast as they can start....they can sotp with front upgraded disc barkes. Upgraded aluminum swing arm. BE A RESPONSIBLE RIDER! FOR SAFETY, READ YOUR OWNER'S MANUAL. ALWAYS WEAR A HELMET, EYE PROTECTION, AND PROTECTIVE CLOTHING! NEVER RIDE UNDER THE INFLUENCE OF DRUGS OR ALCOHOL! Parents consider your youngsters age, size, ability, and maturity before allowing them to ride. Never ride on non-paved streets or non-public roads, and never carry passengers on your moped unless equipped to do so. Never engage in stunt driving or ride at excessive speeds. Be careful on difficult terrain. Riders under 16 years of age must be supervised by an adult.�County Motorsports�recommends that ALL riders take a training course. For more information visit the ASI website safety.org. The 4-stroke�scooter has been proven to be as efficient and reliable to competitors such as Honda and Yamaha. This streamline design motor is optimized to be extremely fuel efficient yet tuned to perform with maximum torque & power. Equipped with the leading Japanese components such as spark plug and throttle-body designed carburetor, no primer button or choke lever to mess with. We know�there is so much more to just buying a wholesale gas motor scooter or moped.�As a veteran dealer with over 5 years of online shipping experience we have built our company with a stable foundation.�Carrying parts and the ability to easily find what you need is more important that just the initial sale!� With that statement we naturally are willing to back up our comments with a fully functional, automated and user friendly department just for you the customer! So, when it's time for your first service and if you ever need�anything from a�spark plug to a tire. We've got you covered. With over 60,000 parts in stock at the click of a mouse you are rest assured when you need it, we've got it! You have nothing else to worry about! That is our promise to you! 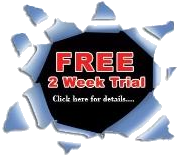 The shipping carrier, UPS Freight, Fedex National, SAIA or any other carrier we use will call you 1-2 days before delivery to arrange a "block time" for delivery to ensure you are�present for delivery. Please watch your phone and e-mail carefully�5+ days from the date of order.�These mopeds are specially designed and manufactured to be sold online. They have special packaging (minimize shipping damage and missing parts), every scooter is tested at the factory (real test ride, not just started), your warranty is NOT void if you assemble it yourself, you get free tech support from the manufacturer, the scooter is delivered virtually fully assembled. Shipping takes anywhere from 3-10 business days depending on your location. Please remember that by purchasing a moped�online, you are responsible for performing the setup that a dealer would normally perform - such as checking the tires, hooking up the battery, checking tightness of all nuts and bolts, changing oil, etc. Although we do provide some very good information and assembly manuals; occasionally some units may need other routine items checked/adjusted such as adjusting the carburetor idle and mixture screws, checking to ensure wires are well connected, adjusting chain slack and alignment, if needed. Since you are skipping a dealer and saving over half the price of a usual retail�customer, you will need to perform the final assembly (as stated above). This will take generally 30-60 minutes to perform. While we will gladly assist you with any technical questions, we will cannot refund or exchange your unit if you cannot perform these basic functions or refuse to let a shop do it for you. By placing an order with countyimports.com you agree to these terms.�If you would like a dealer to perform the assistance and easy set-up for you, we have one of the only brick and mortar�dealer networks to assist you with this function for a fee. Contact us with any questions. We are very gracious to gain you as a customer. We look forward to working with you and please feel free to send us an email�at any time letting us know what you need! We are also available 24 hours a day. Sales - 702-351-0173. Please contact us anytime you like with your service or sales needs! We have afully functional website for your parts needs unlike any other dealer!